Habitat are delighted to offer this substantial property to rent. The building is currently subdivided into 3 large office complexes, with each complex offering further sub divisions of smaller units. The current tenants are corporates, namely Eleanor Smith (MP) and Kare Plus. The available offices are accessed through to the rear of the building and benefit from on site parking. There is a separate entrance which leads to the first floor with a huge open plan office, which can cater up to 100 + employees, 2 kitchens, further there are ladies and Gentleman W.C facilities, conference rooms and a range of further offices located on the first and 2nd floors. The offices are clean tidy and have a modern feel. We believe there is A/C throughout alongside a Gas central heating system with suspended ceilings and UPVC double glazing. Leaving the ring road and entering ‘Chapel Ash’ which leads onto the main Tettenhall Road (A41) west of Wolverhampton, 30 yards to the right the property is located behind a large brick wall. To be negotiated. The property is extremely well priced at only £995 PCM and therefore early viewings are recommended. Rates are to be discussed with W.C.C (01902 551155) and any major change of use. 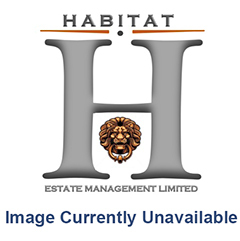 Please contact us on 01902 423843 to arrange a viewing or to discuss the property further.